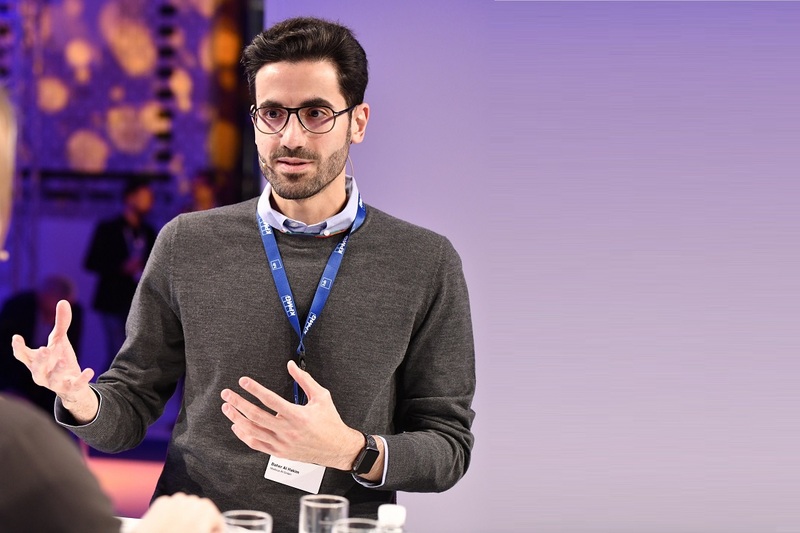 The Center for Data Innovation spoke with Baher Al Hakim, chief executive officer and founder of Medicus AI, an AI-based health platform based in Vienna. Dr. Al Hakim discussed how such products are transforming the healthcare sector, simplifying the relations between healthcare providers and patients, and leading to better health outcomes. Eline Chivot: You founded Medicus AI in 2015. What trends and experiences made you realize there was a need for this technology? Baher Al Hakim: First of all, the widespread adoption of smartphones. I thought there rarely was anything health-related on our smartphones, although virtually everyone has one today. Second, we are increasingly becoming curious about our health. The numbers of health-related searches online have increased. People are becoming more aware of what’s at play, of what could be wrong. And as medicine is becoming more complex, people increasingly need to know more and understand. They don’t take the doctor’s opinion or word for granted anymore—they want to check themselves. Third, the patient-centric approach is becoming more and more of a priority within the healthcare sector. And society as a whole is becoming more customer-oriented. This was previously limited to perhaps the Horeca industry, and did not include education and healthcare. Visits to a doctor’s office typically don’t make up for some of the greatest experiences people tend to share. This is changing, as patients are demanding a personalized, pleasant customer experience. These emerging needs are enabling new solutions and businesses, as industry is also willing to pay for those today. And of course, a fourth driver that made companies like Medicus possible and able solve to solve ever more complex challenges is technology—particularly advances in AI. Chivot: Can you walk me through how Medicus addresses these needs from a healthcare provider and a patient’s perspectives? Al Hakim: As our product is B2B2C [business-to-business-to-customer], the proper way to apply it is through healthcare providers using Medicus themselves. They have access to patients’ medical profile, their family history if possible, the lifestyle data that they will provide to the system, and all their test results. The system can interpret thousands of data points, so the more data we have, the more personalized and accurate the system becomes. Healthcare practitioners are then able to provide the best experience possible to their patients: our technology translates technical procedures faster, and the need to “know more” is automated and communicated through actionable insights. This saves time for doctors who otherwise spend an average of only six minutes per patient, which is rarely enough to answer all the questions patients have. As a patient, you visit your doctor, and take a blood test. When you receive the results, instead of getting the usual report, you will get a report from Medicus, in which there will be colors instead of numbers, visuals instead of charts, content and personalized insights instead of nothing—or instead of having to rely on doctors’ input, or to get confused and lost, googling the universe. You also see the best recommendations for you to follow. These include life changes that could improve your results. If you have a high glucose level, what could improve your diet? What is your current diet? We suggest a “minimal enjoyable action,” meaning something that you could do today that is simple to do and that could have a positive, quick impact on your health next week. And then we work with you to make a slight achievable change towards a healthier lifestyle. The system makes sure that you’re also adhering to the doctor’s recommendations and reminds you of regular check-ups. We try to explain anything health-related to you and nudge you slightly towards a healthier life. Instead of pushing you, we’re rather coaching you to implement small, incremental and sustainable lifestyle changes, that add up to have a big impact on your overall health. A patient’s visit to the doctor for a test result often is just the beginning of the whole “health journey.” What Medicus does is to keep following the patient along the necessary lifestyle changes on this journey. Those changes are typically more impactful than medication in terms of preventing or improving a condition. For example, the most effective way to prevent or treat diabetes type 2 is to improve lifestyle and lose weight. Taking insulin is just a temporary solution. Chivot: There are many digital health technologies including personal health companion apps, AI-powered telemedicine, and medical sensors. How do you see their role and impact evolving in the healthcare industry, for both companies and their users? Al Hakim: This field is so massive that, in comparison to the size of other industries, the number of companies addressing that space is in fact rather tiny. And there should be more companies addressing this industry. This industry is going through a natural learning and experimentation phase. More than half of the companies that exist today will have disappeared in the next few years: most of them don’t know how to foster and sustain their business. In addition, addressing an industry with a new product is part of a learning process. Trying different approaches, different business models, solutions, and features is necessary for this whole industry and the whole practice to evolve into innovations and business models that could be comparable to the iPhone or Facebook. Within 10 years, the traditional players will have failed or will be on their way to fail, and the dominant players will be companies we still haven’t heard of and don’t even exist yet. In terms of the evolution for the user or patient experience, after going through an early phase of very positive disruptions and optimism, there will be a phase of scary outcomes, and failure to provide the right services to patients, eventually followed by a more mature phase made of healthy compromises between risks and rewards. The benefits are first about users learning more about their health, which enables earlier intervention, prevention, and longer life expectancy. But eventually this may raise concerns as well. Such products can help you know more, and perhaps a bit too much even. As a result, you may want to intervene even when you don’t need to. And this is what scares me the most about what we’re building: what kind of information is enough to show? Showing everything may turn everyone into hypochondriacs. We’re working hard on addressing the challenge of figuring out what we should and shouldn’t show, and we’re continuously improving the system. Similarly to the whole data privacy debate taking place today around platforms like Facebook, we will need to ask ourselves; how should we handle user information, what is risky, what are the benefits, what can be shown, and what kind of decision can we make? And especially when it comes to ethics of AI: Can AI diagnose, can it prescribe medication, what happens if AI systems make a mistake, and who is liable? Chivot: What do you see are the main challenges to collecting and sharing more data through technologies and business models like yours? Al Hakim: A couple of them are technical challenges. First is about importing and understanding the data. The second is about interoperability. For example, if you go to a doctor in Germany and you have your medical records in France, it is almost impossible today to combine both of these visits’ outcomes electronically. Someone has to go through them or, even less efficient—if you bring to your French doctor a report from a previous doctor, even if you did it a week ago, he or she will ask you to take another test. Both countries use particular labs, particular systems, and those systems are not meant or built to function in an interoperable way. Healthcare data today is found across three types of data silos: clinical data, generated from the doctor’s office or from the hospital; diagnostic data, generated in a labs; and then lifestyle data which individuals generate on smartphones and connected devices. This represents potential for a massive amount of beneficial insights such as more accurate decisions from doctors and a better understanding of health status by patients. But these insights cannot be generated because there is nothing bridging those silos. Traditional healthcare providers are very protective of clinical data and are ready yet to open it up to lifestyle providers. We’re trying to work on both interoperability and bridging data silos, because this infrastructure is necessary for our product to function. Chivot: You are based in Vienna with offices in Berlin, Paris, Dubai, and Beirut. What have you learned about how these different populations value and approach their health? Are there any interesting regional differences? Al Hakim: Definitely, there are massive differences. To give you an example—in the Middle East, people are more used to taking personal responsibility for their health than Europeans. Using tools that provide information or even healthcare services is more natural to them, and they adopt these tools faster than Western users. People in Europe put much more trust in “the system”—the doctor always knows best. They tend to be extremely cautious and paranoid when it comes to the privacy of their data. They do trust hospitals and clinics to keep their data safe, but not digital providers. And they are curious users, but information and explanation need to come from what they assess are trustworthy sources. For us, this means that promoting Medicus-supported explanations can work in the Middle East, but not in Europe, where that explanation has to be provided by a trusted source, for instance through your doctor. This is a communication issue that we can solve using the digital provider as a proxy. For instance, an insurer can inform customers that it is working with Medicus to provide them with a particular service for free. This will lead to the broader adoption of solutions like ours. This is only one of the biggest challenges that we are dealing with. We’re trying to work with one product that could cater to all those cultural differences and markets. We’re trying to understand the dynamics of the healthcare market, and see how the product can best fit, how it can be modified, and eventually be used by all.